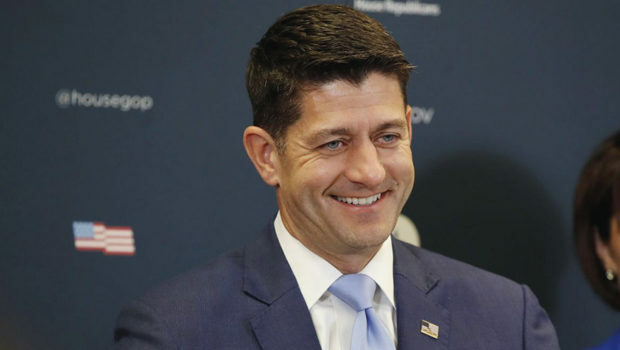 By Josefin Dolsten/(JTA) – House Speaker Paul Ryan made an unexpected discovery while learning about his ancestry: He is three percent Jewish. The Republican lawmaker, who is Catholic, found out about his Ashkenazi Jewish roots as part of the PBS series “Finding Your Roots With Henry Louis Gates Jr.,” in which famous people learn about their family histories with the Harvard University historian. Gates said that Ryan was surprised and happy to learn about the fact that someone on his mother’s side was Jewish. “You could have knocked him over with a feather, and then he was very proud of it,” Gates said at a TV critics meeting on Tuesday. “We don’t know who that Jewish person was, but we know it was on his mother’s German line, which makes sense. So somebody who was a Christian German slept with a Jewish German person and that’s where that came from.” Ryan seemed excited about the news. On Wednesday, Aug. 1, he shared a photo of himself raising a glass of beer on Twitter captioned, “Guess I need to start saying ‘L’Chaim’ now, too!” Ryan, who has long been a staunch supporter of Israel, will appear on the show’s fifth season, which premieres in January.